The climate of distrust towards cosmetics and the industry is getting heavier and heavier. And for good reason: consumers no longer know who to believe, given all the health scandals relayed by the consumer press. 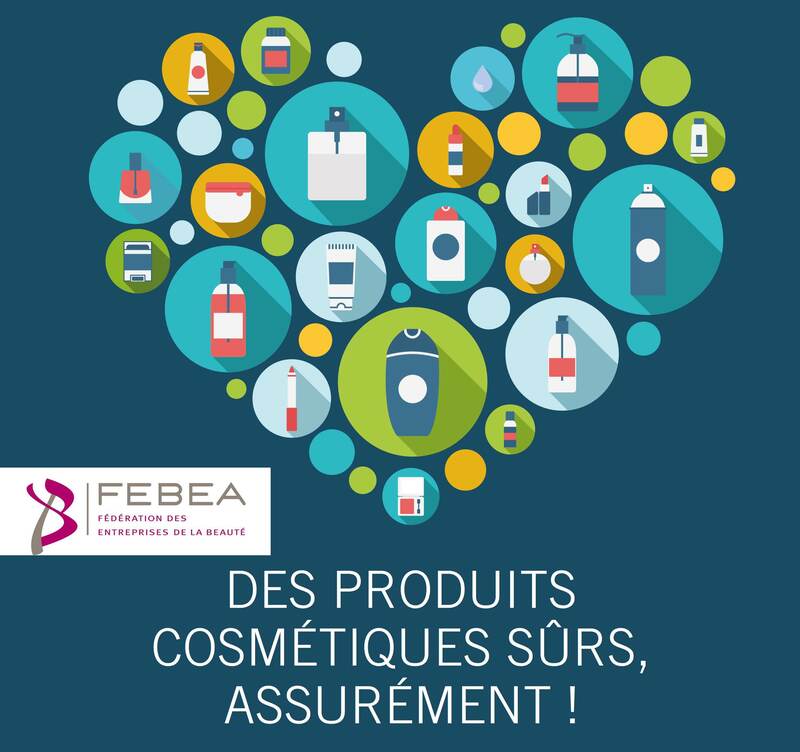 As a result, FEBEA (French Federation of Beauty Companies) launched a campaign focused on cosmetic product safety to answer all questions. With this new communication approach, FEBEA intends to popularize scientific and regulatory notions which are not always known to the public, but essential to assess the safety of the products placed on the market. The federation of beauty professionals highlighted five different themes inspired from received ideas noticed in the press or online (the quotations actually appeared this way, FEBEA did not rewrite them). Anne Dux, FEBEA’s Scientific & Regulatory Affairs Director, presented them to the press at a media workshop organized in Paris on May 30. Received ideas: ‘except for a few rare products that do not comply with the law, the presence of these undesirable compounds is legal, due to lax regulations’. Cosmetics manufacturers should also perform tests and are liable when it comes to the safety of ingredients and finished products. In addition, regulations change as science makes progress and are regularly reviewed. The Cosmetics Regulation was modified 23 times in five years. FEBEA’s answer: European regulations provide a strict framework for cosmetics manufacturing. The safety of every product is assessed according to the public it is intended for. In addition, the assessment of baby skincare follows reinforced rules. Anne Dux explained that for these products, ‘it is recommended to reduce the number of ingredients in the formula to the minimum, the idea being not to exceed about ten ingredients. Furthermore, it is recommended for manufacturers to use substances that are neither irritant nor suspected of being allergenic.’ Lastly, any product placed on the market is assessed and safe for human health. FEBEA’s answer: ‘It is true that allergies have been increasing among the population, but there are more breathing allergies than skin allergies’, Anne Dux declared. Just like any other substances, cosmetic ingredients may trigger allergies, but people often mistake them for irritative reactions. In this type of situation, the cosmetovigilance system records the adverse effects reported by consumers. ‘In the event of suggestive symptomatology, the user can contact the manufacturer to perform an exploration and verify it is actually an allergy to avoid being exposed again,’ Anne Dux explained. On average, only one severe case of adverse effect is declared for 10 million products sold. Lastly, a system implemented by European regulations compels manufacturers and distributors to declare all serious adverse effects to health authorities within 20 days, and to report any safety flaw, so that they can share this information with the other European countries. FEBEA’s answer: Anne Dux admitted that this point ‘is sometimes true’. European regulations compel manufacturers to affix a lot of information essential to consumers on the packaging, so they can make skincare choices adapted to their needs. Most often, the label can hardly be read, because it bears so many mandatory elements (without which the product cannot be sold). ‘Manufacturers have been thinking about how to improve the legibility of these indications,’ Anne Dux added. The inspections carried out by these bodies are frequent, and when a non-compliant product is detected, it is withdrawn from the market. Besides, FEBEA has been working with these entities to help companies improve their claims on the packaging. Anne Dux revealed that this campaign was set up based on real issues the industry deals with. ‘Everything is not perfect yet in the cosmetics industry, but we are working on it,’ she concluded.